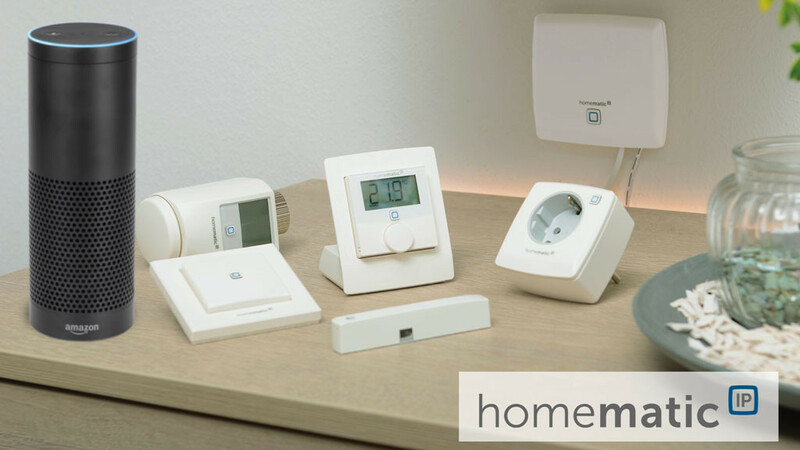 Nutzer the HomeMatic IP system of the manufacturer eQ-3 control their smart home electronics now via voice command via Amazon Alexa - an update of the Home Automatic IP app makes it possible from now on. The manufacturer has implemented this new function in its current update and makes the operation throughout the Smarthome even more comfortable. To allow Alexa to execute the voice commands, an Amazon echo or echo dot is required. After activating the voice control, not only the operation or the eco-operation for smart devices and lamps can be controlled throughout the house. Alexa is also able to activate or deactivate the complete security technology of the house as desired. This is not dangerous, because the Homematic system is based on the Internet protocol IPv6 and requires active protection against hacker attacks. In order to protect the system from external abuse, eQ-3 has installed a security feature: When the protection mode is activated, no security-relevant functions can be regulated via Alexa. All other Homematic IP devices can still be operated in the protection mode. An additional password is not necessary for the use of the smart eQ-3 products via voice command or remote control.